Here’s something that might surprise you. It surprised me. When I got my first paycheck for my first job in Massachusetts, the total was under $10, and that was for two weeks, 40 hours a week. My job? I was a waitress. 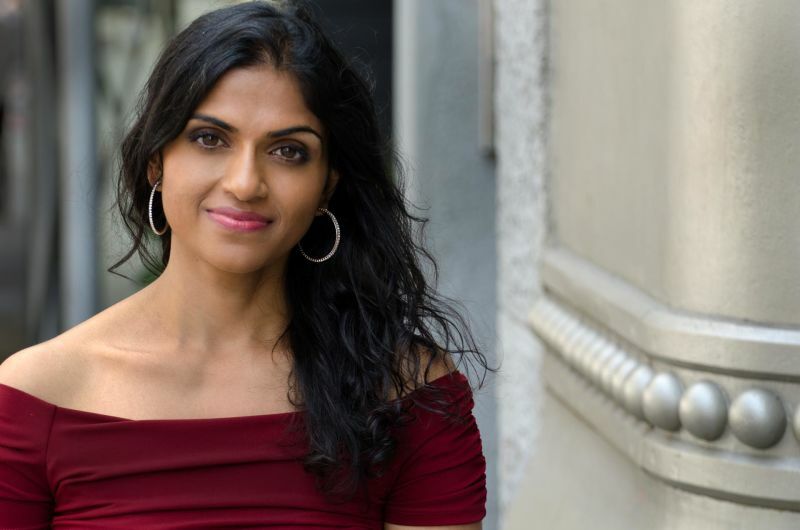 Saru Jayaraman, co-founder and co-director of the Restaurant Opportunities Centers United and director of the Food Labor Research Center at UC Berkeley, says we can change that by giving all workers, including restaurant workers, one fair wage. “The restaurant industry is the second-largest and absolute fastest-growing sector of the U.S. economy with over 11 million workers,” Jayaraman says. In 43 states, she says the industry pays “as little as $2.13 an hour to workers who earn tips.” That's a far lower minimum wage than what other workers make, currently set at $7.25 federally. Jayaraman wants to eliminate that gap between the standard and lower minimum wage. But before getting into that, she says you need to know the history of tipping in the United States. “Tipping actually originated in Europe as a vestige of the feudal system,” Jayaraman says, “It was a superior giving money to an inferior." When wealthy U.S. citizens traveled to Europe in the mid-1800s and returned home, they attempted to show off their worldliness by tipping. But Americans weren’t having it. They called it un-American and elitist. The sentiment was so strong that by the early 1900s, six states (Arkansas, Iowa, Mississippi, South Carolina, Tennessee and Washington) actually passed anti-tipping laws. These train porters and maids worked long hours loading luggage and serving passengers. They eventually unionized and won a full salary. But restaurant workers -- many of whom were also former slaves -- didn’t organize. "That history really educated us about the fact that not only is this a vestige of the feudal system, it is a legacy of slavery," Jayaraman says. There is a federal law that requires employers to make sure tipped workers are making the standard minimum wage through both salary and tips, and if not, to supplement their income so that they do. So if that's the case, what's wrong with the minimum wage status quo? "There are plenty of laws on the books that really aren't enforced, and this is one of the biggest," Jayaraman says. According to the Bureau of Labor Statistics, 16 percent of restaurant workers make below the minimum wage. While some restaurant workers are at mid- to high-end restaurants, "in fact 70 percent of tipped workers are women who largely work at places like IHOP and Applebee's and Olive Garden." This overrepresentation of women leads to another tipping-related challenge: sexual harassment. Jayaraman says women in these jobs “suffer from the absolute worst sexual harassment of any industry in the United States.” She says it’s embedded in the culture, from customers to management. When a server is working to get the most money from tips, “you are basically encouraged to objectify yourself," she adds. Some argue that the customer’s power to tip brings better service, but Jayaraman disagrees. If customers are unhappy with their service, Jayaraman says they should tell the management, similar to the recourses available in other customer service industries. Jayaraman says we can avoid this mess by giving all workers an equal minimum wage. California, along with six other states, has one minimum wage regardless of profession. Jayaraman and her team have researched how one minimum wage has impacted these states. Their findings are promising. “We as a state are faring better on every measure than the 43 states with lower wages for tipped workers," Jayaraman says. She says California and the other states -- Alaska, Minnesota, Montana, Nevada, Oregon and Washington -- have higher restaurant sales per capita and higher job growth in the restaurant industry. Now, Jayaraman's mission is to get the rest of country to sign on.